We can provide you with any metal bracket or wood bracket to adapt to any installation you might be faced with, no matter how challenging. Our own metal U-bracket, designed to be the least obtrusive, is the most popular. Custom metal drapery brackets solve difficult installations such as extreme projections and limited mounting surfaces. 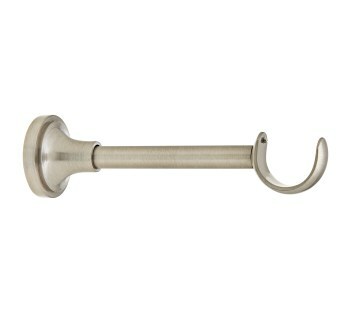 These Metal “U” Drapery Brackets are by far, our most popular drapery bracket. The first and second views are also known as the “Hidden” Bracket. They are the least obtrusive, as they attach 1/2 way under the rod – allowing the entire face of the rod to show, all the while being held securely in place by a set screw in the bottom of the drapery bracket. 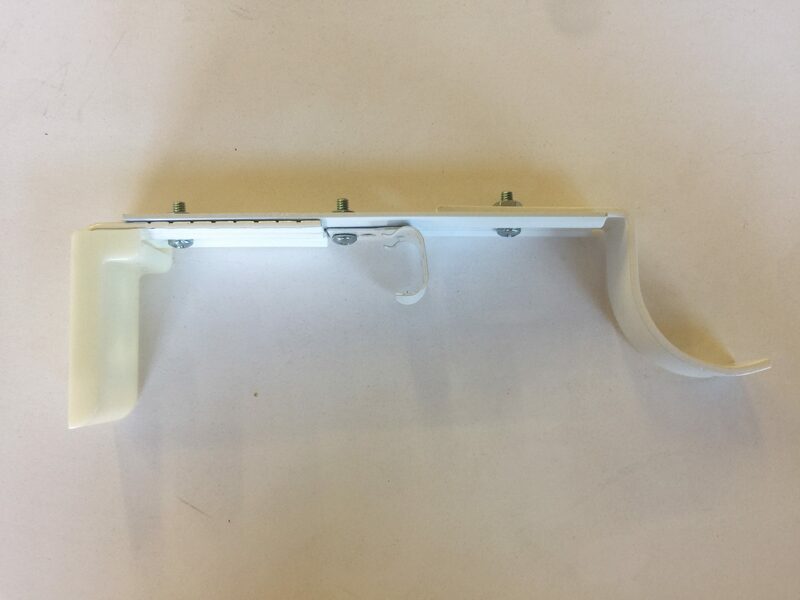 The third view is the “Full Face” version – this one is used in cases where you may need to hide a splice. Either style (Hidden or Full Face) may be used on a horizontal or vertical base. If used with the vertical base, the snap over cover plate can be finished to match either the drapery rod or the wall color, which allows them to disappear into the background. 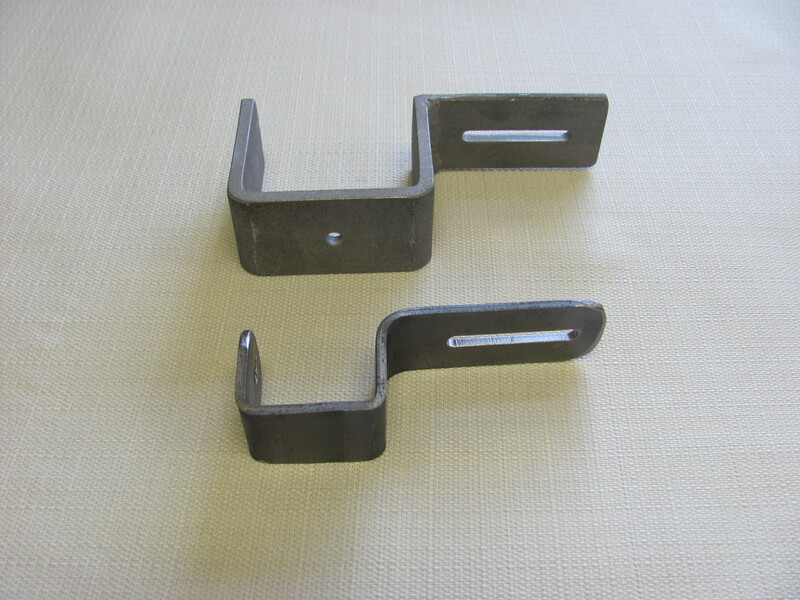 Either of these drapery brackets are available for 1-3/8”, 1-5/8”, 2”, 2-¼” and 3” rodding. This is just one style of custom corner drapery bracket – it is currently raw metal, but even in raw metal this is GORGEOUS! For this picture, we purposely used drapery rodding of a different metal to show off the details of this amazing drapery bracket! 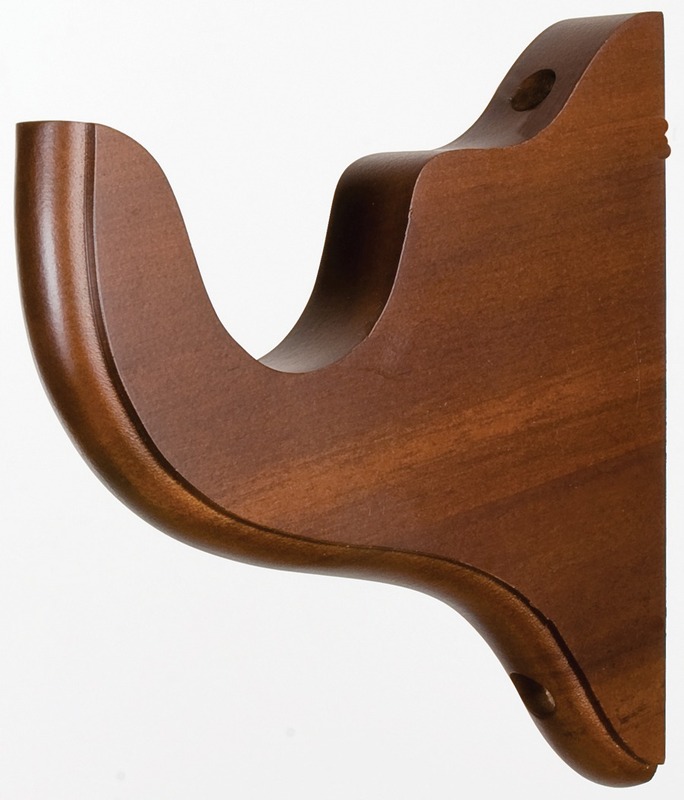 These Custom Corner Brackets may be created to your design needs (i.e., with the curved arms, as shown – or sharper angles, etc.) and finished to your specifications! 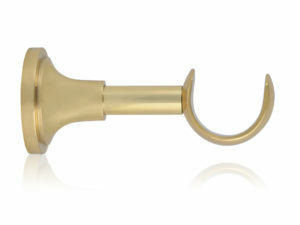 They may be used with either metal or wood drapery rods and are available in any diameter and depth. No matter what the shape of the drapery rod – round, square, triangular or hexagonal, we create and custom finish the drapery brackets to match what ever color scheme you are using! Again, these are shown in raw metal. These two custom drapery brackets are made to use when dealing with ornate crown moldings. The first one is designed to hold the window treatments up and away from a series of stacked crown moldings. The second one is designed to mount onto the wall above the casing and drop the treatment down into the casing. Although shown in raw steel, we finish them to your specifications – and they are available for any projection or any size drapery rod! 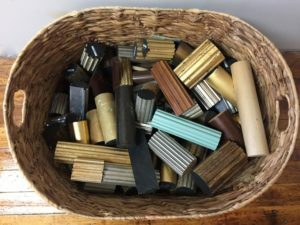 Don’t forget about brass or nickel! Although available in the more traditional cup or base style, this particular drapery bracket was created per a customer’s design. 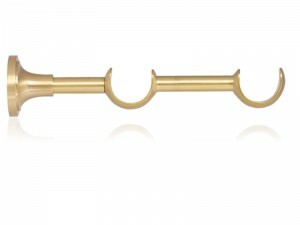 Custom Brass or Nickel Drapery Brackets are available in Polished, Brushed and Antiqued finishes! In the foreground, are Heavy Duty Long Extension Support Bases for use with very heavy drapes. Standing in the background, are Horizontal and Vertical Bases which are used when there is minimal mounting space. Here we see Metal Flanges for both Inside and Outside Mount installations. Flanges are equally important in the support system of your draperies. 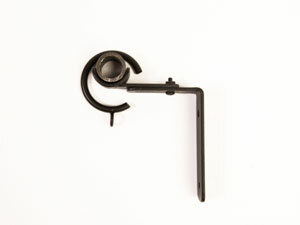 They too, can be finished to match the drapery rods or walls – and are usually used with curved round elbow returns. 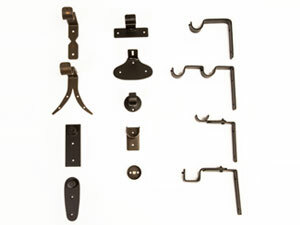 Our Euro Drapery Brackets can be customized to suit your installation. If you need assistance with developing a solution, just give us a call and we’ll work with you to devise a custom solution. If you prefer the look of wood drapery brackets, we can provide you with an option. 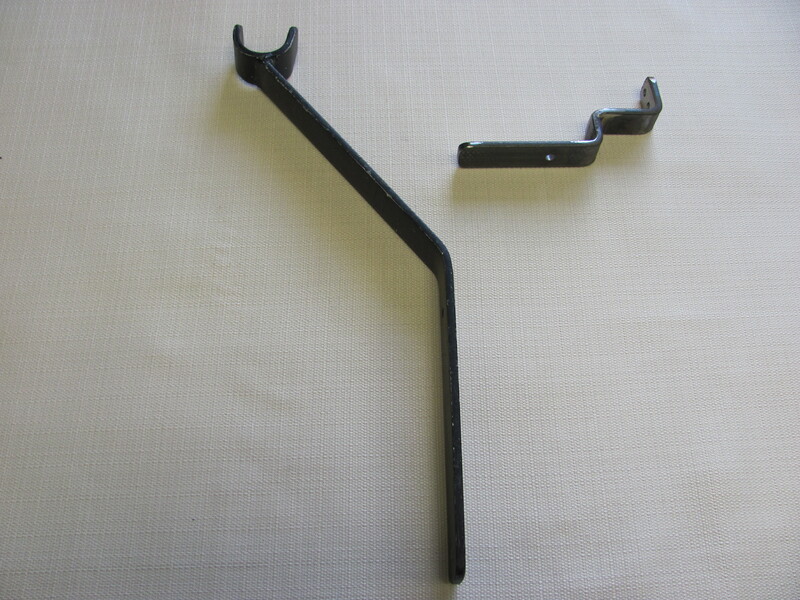 These brackets can not only be used with our Standard Metals Line Rods, but also with 1 3/8″ and 2″ Wood Drapery Rods.